Product prices and availability are accurate as of 2019-04-13 21:03:33 EDT and are subject to change. Any price and availability information displayed on http://www.amazon.com/ at the time of purchase will apply to the purchase of this product. 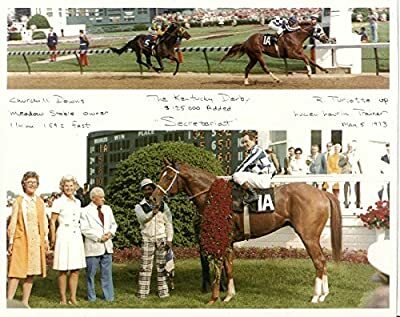 A nice photo copy professionally done of the photo taken for the owner of the time (World Record) and the finish line photo and the Winner's Circle photo. It measures 8x10 inches. Ready to frame and hang!